A last-minute Tom Cairney strike snatched a point for Fulham as they drew 1-1 with 10-man Leeds in the Sky Bet Championship on Tuesday. The visitors had gone ahead in the fifth minute after a shocking Tim Ream own goal, with the defender slicing the ball into his own net ahead of Souleymane Doukara. 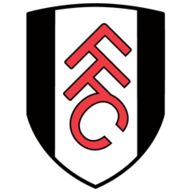 Fulham dominated possession for much of the game, and should have had an equaliser in the 25th minute as Neeskens Kebano's shot appeared to go over the line but it was not awarded by the officials. Leeds spent the final few minutes of the game with 10 men after a second yellow card for Kalvin Phillips, and the hosts spectacularly snatched the equaliser as Cairney curled home from the top of the box to seal a deserved draw. Garry Monk did not name top scorer Chris Wood or defender Luke Ayling in the side as he made five changes for the trip to London, while Slavisa Jokanovic made one change from the weekend's win against Preston, with 16-year-old Ryan Sessegnon replaced by Scott Malone. Leeds found themselves ahead inside five minutes, although they cannot take too much credit for the opener as Kyle Bartley floated a free-kick into the box, searching for Doukara but Ream's toe-poke just ahead of the striker bounced into the back of the net to gift the visitors the lead. From then on, Fulham saw the better of the ball although they struggled to find the break through. They went close in the 20th minute as Chris Martin headed a Malone cross into the path of Kebano, but he could not connect before captain Cairney just curled a shot wide of the top corner not long after. The Cottagers should have been level on the 25-minute mark as Kebano fired a thunderbolt strike onto the underside of the crossbar, and it appeared to go over the line before ricocheting out and into the arms of Rob Green. 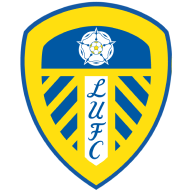 Leeds offered very little in terms of chances during the first period, but did force Fulham goalkeeper David Button into a good save with six minutes of the half to play as Alfonso Pedraza fired towards goal but it fell straight into the arms of the stopper. Fulham continued to see the better of possession after the restart, and had the first chance of the half in the 58th minute. Sone Aluko slid the ball to Kebano on the left flank and he took a few strides before taking aim, but it could only ripple the side of the net. Leeds could have doubled their lead with 15 minutes to play as Kemar Roofe found Modou Barrow in the box, with the forward in turn passing to Pedraza on his left who hit the ball first time, but his stinging effort rattled the crossbar and went wide. The Cottagers were relentless in their pursuit of an equaliser as the game drew to its frantic conclusion, camped around the Leeds area and forcing Green into some sublime saves, punching away a fantastic free kick from Stefan Johansen in the 81st minute. Phillips was given his marching orders with one minute of normal time to play after a crunching tackle on Scott Parker saw him pick up his second yellow card of the game. But that wasn't the end of the dramatic finale, as Fulham deservedly took a point from the game in some style. Cairney received the ball at the top of the box and curled a sumptuous strike into the top corner before jumping into the crowd to celebrate. The result means neither side moves from their pre-match positions in the Championship table, with Fulham in seventh, five points behind Sheffield Wednesday while Leeds sit three points behind Huddersfield in the play-off spots. "I'm really proud how we played. We actually scored two and we deserved three points. We made an accidental start with the own goal and we scored a legal score, but he referee does not see the situation. Then Tom scores a fantastic goal. "We played all the football and created many, many chances. We shot 23 times on goal. We won only one point, but deserve three. You can't complain about the referee. He is human. But it's an expensive mistake. I see myself that the ball is past the line. It was a big mistake. Goal-line technology would be good. "We were very competitive and were rewarded in the last moments of the game. It's an important point as there's many games still in front of us. We played with confidence and with style. We need to push hard to be in the top six." "We had a game plan and followed it excellently against a good side who have been free-scoring here. It feels like a sucker punch with the way it came at the end very end, but that's football. "You have to take it on the chin. It was a good point against a very good side. We needed a second goal and the ball hit the post which would have done it. That would have sealed the game for us. Things went for and against them and us. It's another performance and a point to where we want to go."